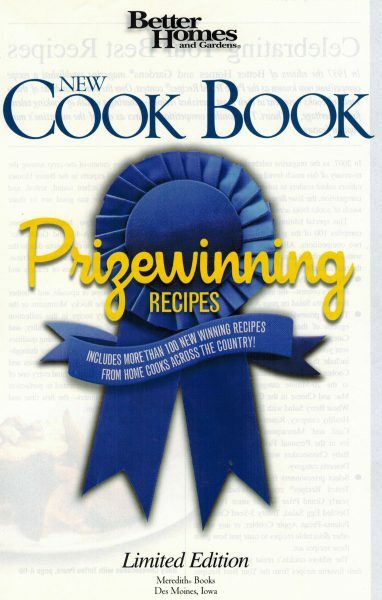 I came across this cookbook and had forgotten that one of my daughter Kristina’s winning recipes was featured. I can’t tell you how wonderful these cookies taste. The fragrant, buttery, and lemony cookies also contain a delightful hint of fresh rosemary. 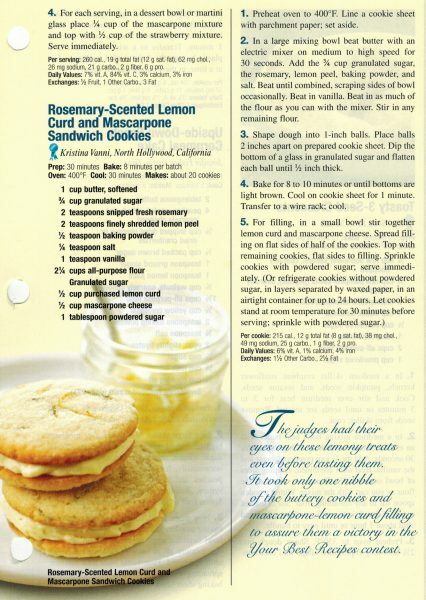 After baking, the cookies are sandwiched together with a filling of lemon curd and mascarpone cheese. I promise you, every bite is heavenly. Thank you for sharing this post! These cookies sound really yummy! 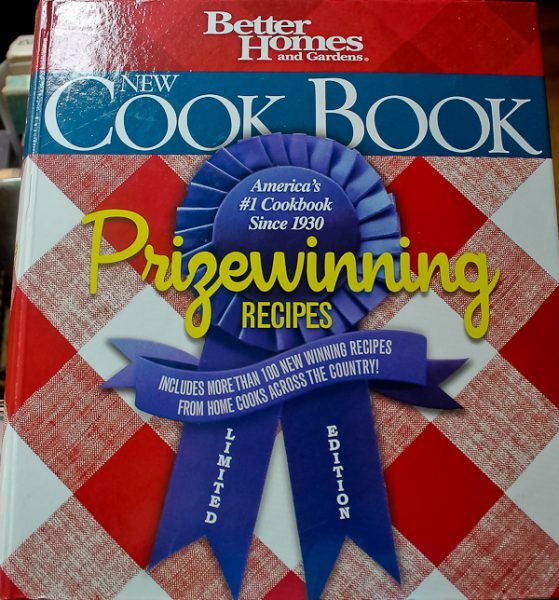 I remember when Kristina won with these! They look and sound amazing!!!!!! !